Hongkong is premier family tourism destination in the continent. With all the festive feasting, incense burning, dragon and lion dancing, and parades coming together. The country offers the visitor a multitude of fantastic entertainment, shopping and dining options. Hongkong also preserves the nature at its best which is being supported by rarest species of faunas. Hongkong beauty will provide you with the glimpse of sea, sky and greenery holding hand at Mai Pao and Aberdeen. Hongkong tourism will amaze you with the diverse contrasts and close immediacy of striking city escapes and soaring mountains, extensive green countryside and heritage sites. 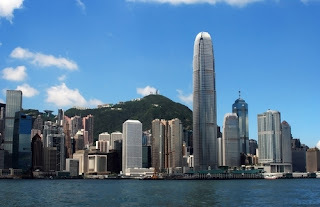 Hongkong travel guide gives you info about the location, transport, shopping, climate, attractions, and other helpful tips while you are on tour. Whether you visit the stunning Victoria Peak, fantastic Ocean Park, and the beautiful Repulse Bay, the country will exceed your expectations. The country has unique cultural that can’t be seen in mainland China. Majority of the Hongkong Chinese are Taoist or Buddhist. Hongkong tours offer ancient museums history, crafts and Chinese arts. You can witness the Chinese opera, cinema, Chinese therapy, lion dance, festivals, tea drinking, dragon dance, and song dynasty town. 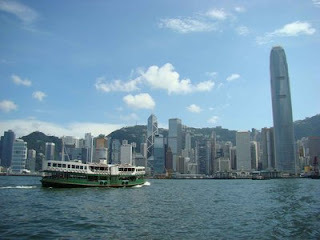 Most of the Hongkong tours groups include the Victoria Peak in their Hongkong trip. Victoria Peak is the most popular tourism spots and the local’s favorite. 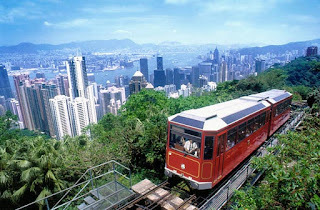 It is located in the Hongkong Island and the country’s highest peak. Standing at the peak embraces the best view of the city. The common transport to access its peal is the Peak Tram. You can buy ticket from lower terminus that is about 10 min. walk from J2 exit of Central MRT station or the Bus 15C from Star Ferry, by Octopus Card or Cash. You can top up the tickets to access the Sky Terrace, which is the highest point in the peak. It allows you to have 360 degrees view of the island and even to the small island around. This is the spot where you can grab great souvenirs and good bargains. It also has a spectacular view at night and the best shopping experience. There are lots of restaurants that serve different cuisines with enormous dining atmosphere and experience. This is the famous wax museum in the country. You should not miss your Hongkong travel with the well known museums where you can discover the wax figures of the famous local Hongkong artists and international stars. It is the most essential and representative landmark of the island. Ferries commute between Hongkong and Kowloon since 1888. Although road tunnels are constructed beneath the harbor has brought alternative ways to shuttle between the two island, lots of commuters still prefer for the ferry. Hongkong tourism is well known for its Temple Street Night market and nightlife, located at Yau Ma Tei, which is one of the famous night markets in the island. Locals spend their night hanging out with their friends while tourist finds them interesting.